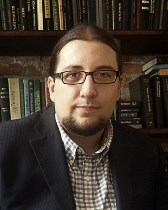 Prior to joining the Northwestern faculty, he taught at Williams College, Columbia University, the University of Pennsylvania, and Middlebury College. He is the recipient of grants and fellowships from the Ford Foundation, Woodrow Wilson National Fellowship Foundation, the Lyndon Baines Johnson Foundation, the American Philosophical Society, the Newberry Library, and the School for Advanced Research (SAR) in Santa Fe, NM, among others. Beyond the university, Kiel has worked in several museums, testified as an expert witness in regards to Indigenous land rights, and in 2008 was as an Indigenous Fellow at the United Nations Office of the High Commissioner for Human Rights (OHCHR) in Geneva, Switzerland. He currently serves on the advisory committee for the renovation of the Field Museum’s exhibition on Native North America. His publications are available to download. “Bleeding Out: Histories and Legacies of ‘Indian Blood’,” in Blood Quantum and the Future of Native Nations (Golden, CO: Fulcrum Publishing, 2017), 80-97. “Untaming the Mild Frontier: In Search of New Midwestern Histories,” Middle West Review, Vol. 1, No. 1 (2014): 9-38. “Competing Visions of Empowerment: Oneida Progressive-Era Politics and Writing Tribal Histories,” Ethnohistory, Vol. 61, No. 3 (2014): 419-444. “Rebuilding Indigenous Nations: Native American Activism and the Long Red Power Movement,” Expedition Magazine [University of Pennsylvania Museum of Archaeology and Anthropology], Vol. 55, No. 3 (2013): 8-11. “The Erosion of the Middle Ground: Native Peoples of the Great Lakes Region after 1815,” in The War of 1812: Official National Park Service Handbook (Virginia Beach, VA: Donning Company Publishers, 2013), 136-146. Dorothy Schwieder Prize for Best Article in Midwestern History, "Untaming the Mild Frontier: In Search of New Midwestern Histories,” Middle West Review, Vol. 1, No. 1 (2014): 9-38.